sometimes glancing at her, perhaps thinking her a poor fool. empty Coke bottles and gatherings tied in plastic bags. the softness gone from it with horror in its place. or sometimes a sadness there as when a child sighs. at nothing we could see, though she saw soldiers there. into the sordid hearts of generals and their governing death-mongers. but we turned our hearts away lest her baying be crying. though none of us did, fearing what we might unfurl. searching for their children, though they would find them no more. with eyes that are dark and kind. and what you dream about now that war is behind you. with your finely spoken French and courteous manner. Your home is a run-down building in run-down Salt River. and the sour smell of drains. curtained off for cooking and sitting and sleeping. and all stand when we enter, without speaking. Congo Angola Congo Angola Congo Angola. I am here looking at your quarters. You own so little. What do you think of me, for asking you to show me your life? and old rain left puddled and painted with oil? leaving behind only my gift of sweet red plums? wow, patricia, fruit belongs to us all. 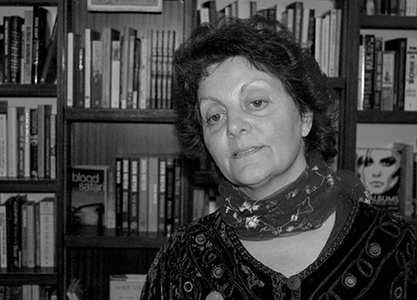 Patricia is an internationallly published, award winning novelist and poet whose works have been translated into five languages. In 1984, in response to apartheid and the political violence in the Eastern Cape, she opened a non-racial pre-school. She wrote and self-published stories, poems and songs that had relevance to her pupils’ lives, and which were based on the same principles of peace she used in her classes. After completing a Master’s Degree in creative writing at the University of Cape Town, she focused on full-time authorship. Although her novels are decorative, magical, opulent and richly furnished, they carry at core a deep, philosophical note as she exposes the emotional carnage caused by war and genocide. Her novels reflect variously on the Holocaust, South Africa’s wars in Angola and Mozambique, Zimbabwe’s Chimurenga war and current dictatorship, the bombing of Dresden and apartheid.They also reflect on the way we ‘war’ against the earth and other species.Yet, despite these dark matters, her fictions are full of hope and joy and love. Her poetry is another matter. Here she is blunt and to the point. She captures, in language that is at times paradoxically lyrical and beautiful, the full scale and horror of war, genocide, fratricide and our destruction of the natural world. Patricia’s is a voice for peace.